Red Couch Recipes: Donut Hole Caramel Apples and Zoulah is Baaaack! Welcome to Red Couch Recipes where Zoulah is baaaaack and in the kitchen making her 4th appearance in Red Couch at her "Bewitchen Kitchen" at Red Couch Recipes. She is not a scary witch, just a friendly witch who likes to take over Joni's kitchen during Halloween. Here is a sampling of Zoulah's past work. Today she was inspired by Matthew Mead's Halloween magazine when making these Donut Hole Caramel Apples. Zoulah says, "These are so fun and easy to make!" They are tasty too. All you need are some donut holes, chopped peanuts or other nuts, butterscotch chips, white chocolate, and some sticks. I cut up Halloween straws: Matthew Mead used cinnamon sticks, and didn't use nuts. First melt some butterscotch chips in the microwave. Dip your stick end in the melted butterscotch chips, and then insert into donut hole. Allow to sit for a few minutes. Then, holding the stick, roll the donut hole into the butterscotch chips and then roll the donut hole into the chopped nuts. Drizzle with melted white chocolate. 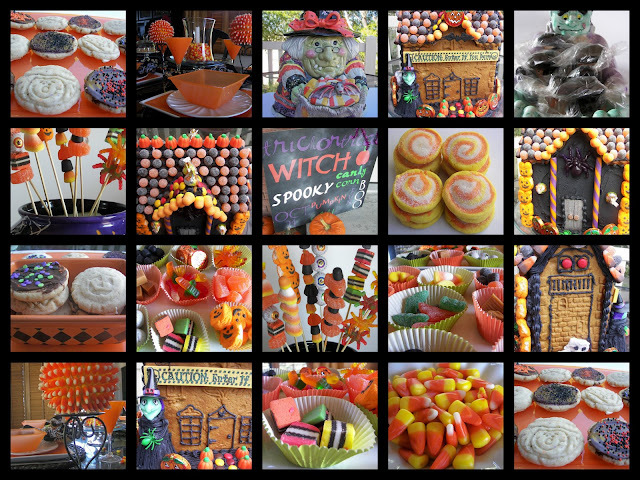 These are sure to delight anyone during the Autumn and Halloween season. Those of you who follow my blog may realize that Zoulah has escaped out of her box a little bit early this year. There is a reason for this! This Halloween season, Zoulah is devoting her kitchen to Skyler, of the Red Couch Home who left for a two-year LDS mission to Cusco, Peru at the end of August. Skyler has always loved Halloween, and mentioned it as one of the things he would miss, along with BYU football games, and longboarding. Here at the Red Couch Home, we have always done Halloween up big! Zoulah and the gang miss him greatly but are proud of him for leaving home and serving the people of Peru. That is why Zoulah is posting early Halloween posts, in honor of Skyler, a major Halloween lover. Skyler with his sisters Talley and Tatianna. 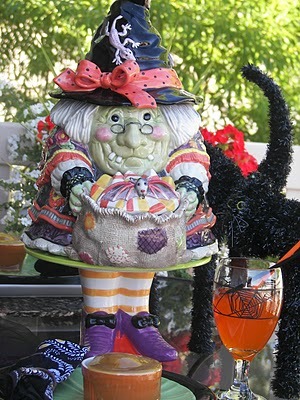 Zoulah thanks you for dropping by Red Couch Recipes from the top of her witch hat to the bottom of her witchy toes. These are so cute and look yummy too. I am glad to see you back and hope the girls will get into it too! Congratulations, if that's alright to say, on your son's mission. I wish him a safe journey and many wonderful experiences. We spent some time in Cuzco and my husband had a lot of difficulty with the altitude. It would be a good idea for your son to take medication with him, or to at least discuss it with your family doctor. It is frightening when it strikes. Hi Joni, You have great looking children! I know you are very proud of them all. Your donut holes look good and very easy. Zoulah has done some very creative cooking over the past four years! Loved remembering them with your mosaic! Have a blessed wknd. It's always fun to follow along with Zoulah's kitchen adventures. She always has lots of cute and tasty treats. Can't wait to see what she has for us this year.